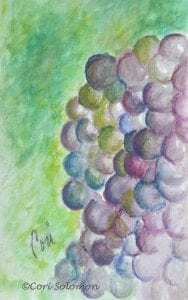 Watercolor depicting grapes during veraison. This artwork is matted. 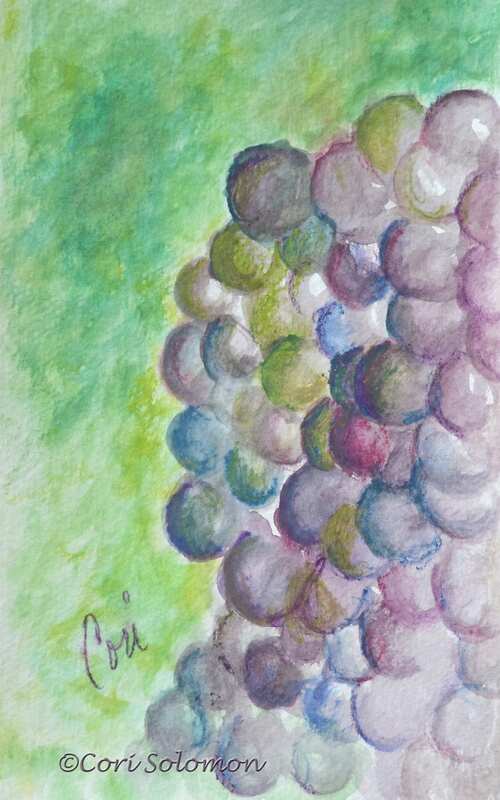 To purchase the painting of grapes email Cori.